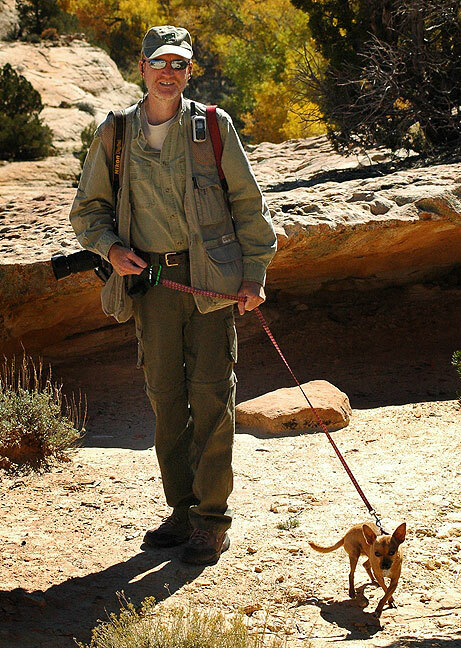 Max the Chihuahua and I walk around at Butler Wash in southern Utah in 2006. There is nothing either of us would rather do. 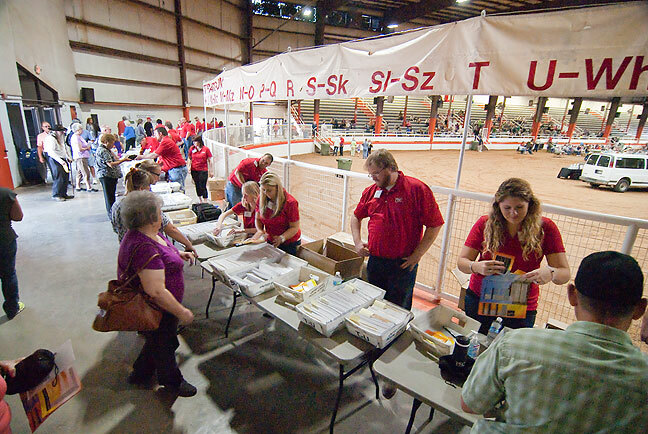 The annual People’s Electric Cooperative annual meeting, PEC Day, was Saturday at the Pontotoc County Agri-Plex. The Agri-Plex is a sprawling fairground that is home to all kinds of events almost every weekend, from rodeos to quilt shows. PEC Day is one of the most crowded of these events, so when I saw several police cruisers directing traffic, I decided, as I often to, to park at the far reaches of the parking lot and walk to the main building, instead of waiting in my car in line for confused motorists to look for the nearest spot to the door. I always park in the far reaches, even when there isn’t a crowd. I like leaving the closer parking spaces for people who really need them, like my wife, whose rheumatoid disease is quite debilitating. Sadly, when I walk past the closer spaces, I often see people who don’t really need to be parked close at all. I will grant you that I am lucky to have both a physiognomy and an aptitude toward the physical. It’s easy for me to walk a mile, or ten miles, and I recognize that for many, a mile is impossible. But I also recognize that such a mile is unreachable for many people entirely by their own choice. At PEC Day, I walked around and made some images, from an overview of the entire arena to a tight shot of a little girl learning to rope with a lasso. As I strolled, someone said, “Richard, I wonder how many steps you take every year.” I have something of a reputation as someone who walks instead of drives when possible. This may have something to do with the fact that hiking is my favorite athletic endeavor. I told the nice lady, “Every step I take is another step I’ll be able to take later,” and I believe that. Our bodies and minds evolved to be active and creative, not malnourished by inactivity and sloth. People’s Electric Cooperative shareholders flock to PEC Day 2015 in the Pontotoc County Agri-Plex’s main barn. I still don’t have a word for when people block an aisle in a parking lot waiting for a close spot to open… We need a word for it, that applies specifically to this act, so we can start shaming it. I too have taken up the habit of parking farther out (and I’m grateful that I can). It usually means I have no trouble parking *and* can usually leave quickly. My thing is stairs. Most of us need to access our offices via the third floor. So I park on some other floor. For the free exercise. And I’m happy to report that Hammill and I bike or swim every night. Not for long, and not to exhaustion, but we do it.